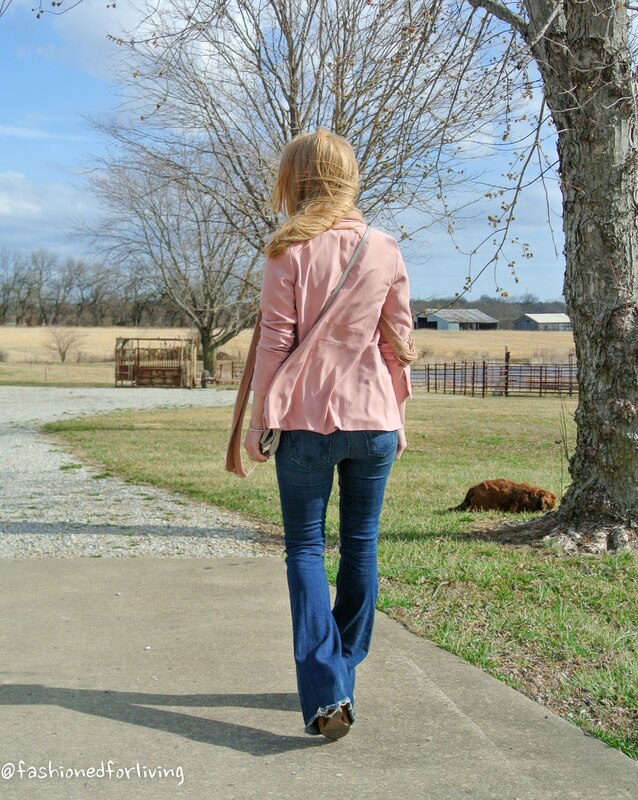 I love this look anytime a year, but especially for spring! A blazer paired with jeans is such a classic and sophisticated style even with an oversized t-shirt. So comfy! The skinny scarf trend is great for moms with little ones to accessorize an outfit without the worry of little hands breaking a necklace and something you can rock year round! 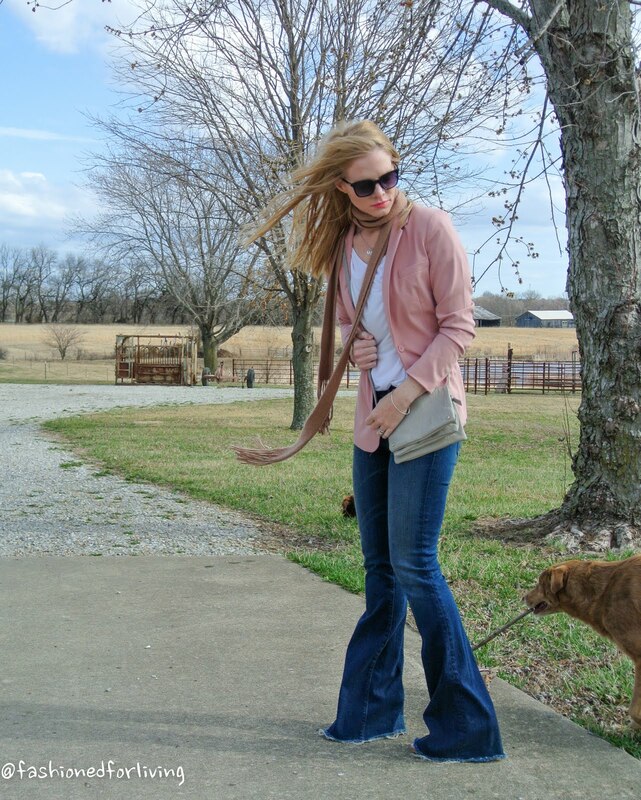 I picked up my blush blazer for $10 recently at a Banana Republic Outlet. I literally did a happy dance! Good thing my husband was at another store at the time... Linking similar items below for the unavailable pieces in my outfit. white boyfriend t-shirt - Old Navy - available in petite, regular, and tall. 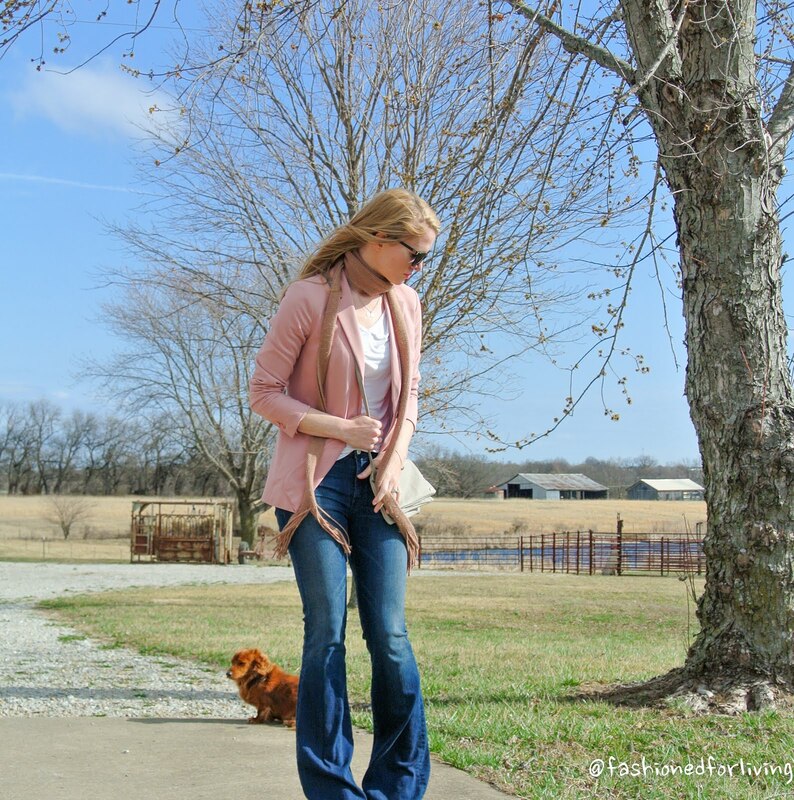 high rise flare jeans - Old Navy - less expensive alternative. available in petite, regular, and tall!! brown suede skinny scarf - LuLu's - it's suede. enough said. tassel crossboy - Old Navy - my bag is old. crushing on this one!